Debasis Ray re-emerged as the key communications figure at iconic Indian conglomerate Tata last year, during the bruising boardroom battle between Ratan Tata and ousted chairman Cyrus Mistry. 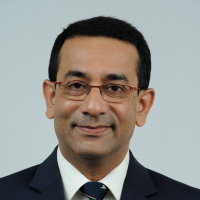 A 12-year veteran of the company, Ray had previously served as Tata’s corporate communications chief, before decamping for a brief stint leading communications at Larsen & Toubro. In September 2016, Ray took on the role of public affairs head and spokesperson at Tata Trusts, helping the company navigate its PR crisis, marshalling a range of PR firms and solidifying his position as Ratan Tata’s key PR lieutenant. I once dealt with a trade boycott of the organisation I used to then work for; the matter was resolved solely through PR. The biggest challenge is establishing authenticity. The biggest opportunity is today one can go direct to one's audiences. I step back, recall whether I have ever been faced with a similar situation, and recollect what did I do. There has been a situation or two, when there was no precedent. One has just been honest and truthful. In recent times, the film, 'Spotlight'.